Russian model Kate Bogucharskaia, before Alexander Wang, NYC, September 2014. 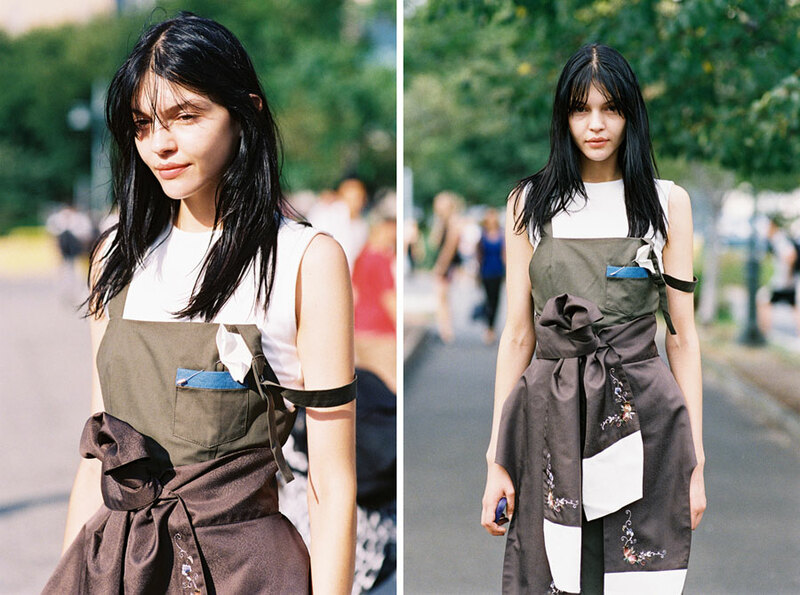 Ella Catliff of La Petite Anglais, before Victoria Beckham, NYC, September 2015. Candela Novembre, before Chanel, Paris, March 2015. 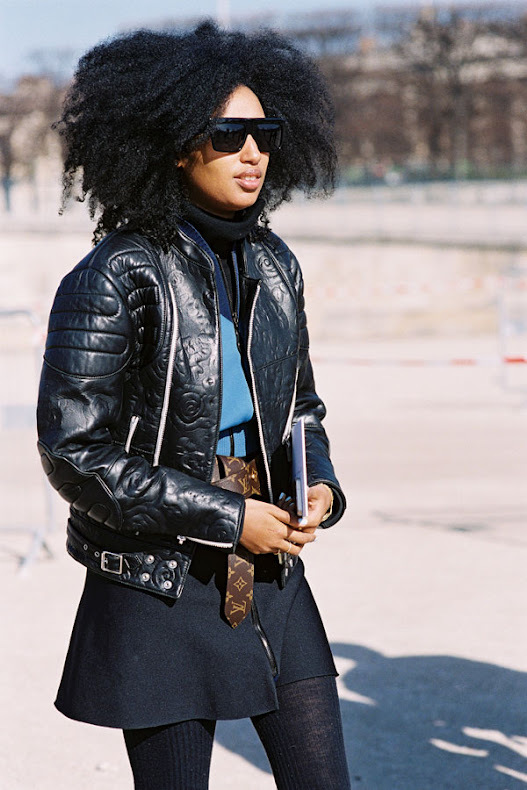 Senior Fashion Editor i-D magazine Julia Sarr-Jamois, Tuileries, Paris, March 2015. 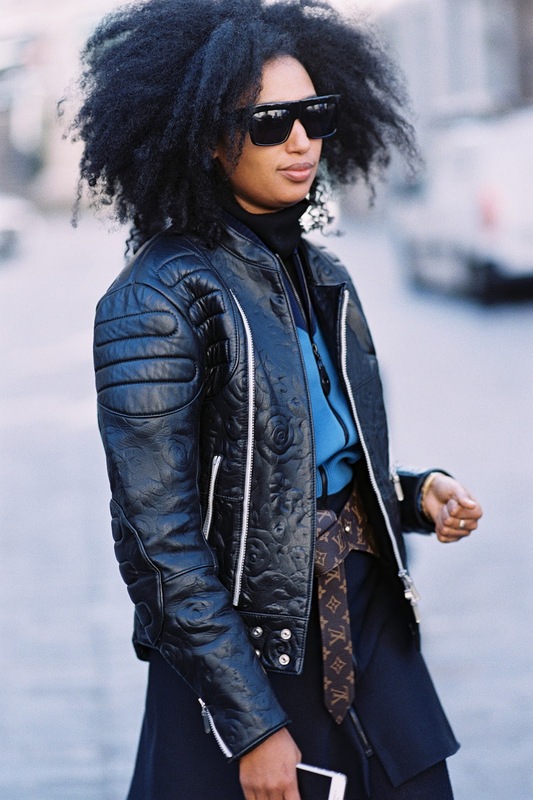 Embossed leather jacket and loop-the-loop Vuitton belt. Aimee Song of Song of Style blog, Lincoln Centre, NYC, September 2014. A beautiful, feminine look on Aimee (such pretty colours!). Lovely inspiration for dressing down a fancy lace skirt (or dress) that you purchased for a wedding or special occasion. Writer, editor and actress Tavi Gevinson, after Rodarte, NYC, September 2014. 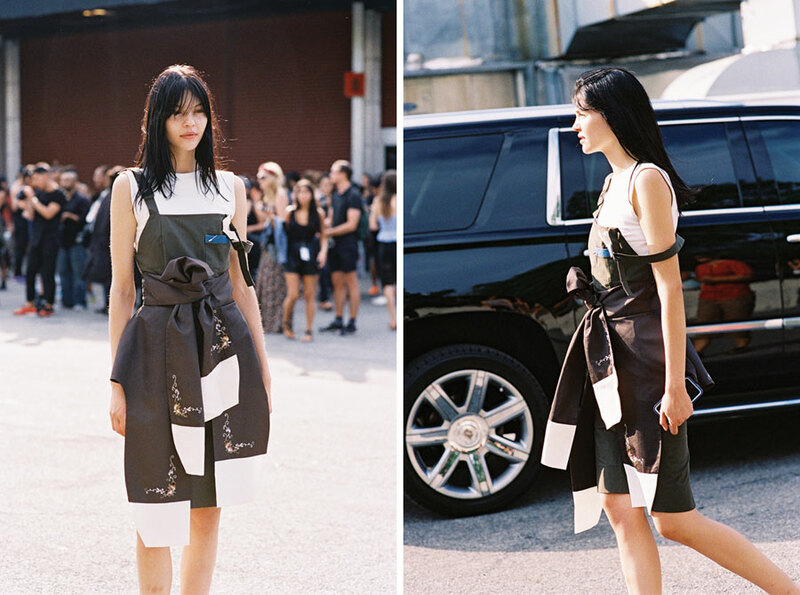 Clara Racz, before Tommy Hilfiger, NYC, September 2014. "I taught I taw a putty tat. I did! I did!" I used to love watching Tweety Bird on Saturday morning cartoons at home in Aus. American model Leona Binx Walton, after A Show, NYC, September 2014. Gala Gonzalez, after A Show (wearing Stylestalker knit dress - I think! ), NYC, September 2014. Russian model Irina Nikolaeva, after A Show, NYC, September 2014. Writer Claire Beermann of C'est Clairette, before A Show (wearing Vika Gazinskaya for & Other Stories dress), NYC, September 2014. Love this look on Claire so much. 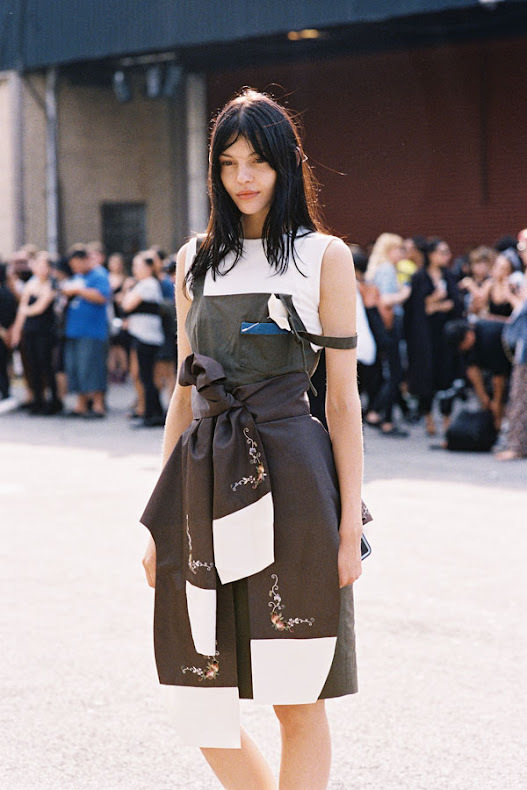 A gorgeous Vika Gazinskaya for & Other Stories strapless dress made effortlessly casual with sneakers and a jumper around the waist. Perfect. American model Karlie Kloss, after A Show, NYC, September 2014. Cropped shirt + wide leg pants. Danielle Bernstein of We Wore What, before Guy Laroche, Paris, March 2015. Embracing the 70's with a fringed suede jacket and fitted denim overalls. American model Jacquelyn Jablonski, after A Show, NYC, September 2014. After Dior, Paris, March 2015.